Since landing on the big screen all the way back in 1933, King Kong has appeared all over the world in all shapes and sizes, and in various media. 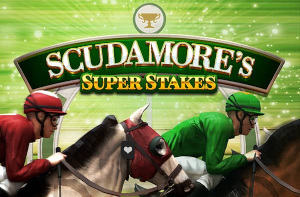 It was almost inevitable that it would become a top-paying slot game in time too. 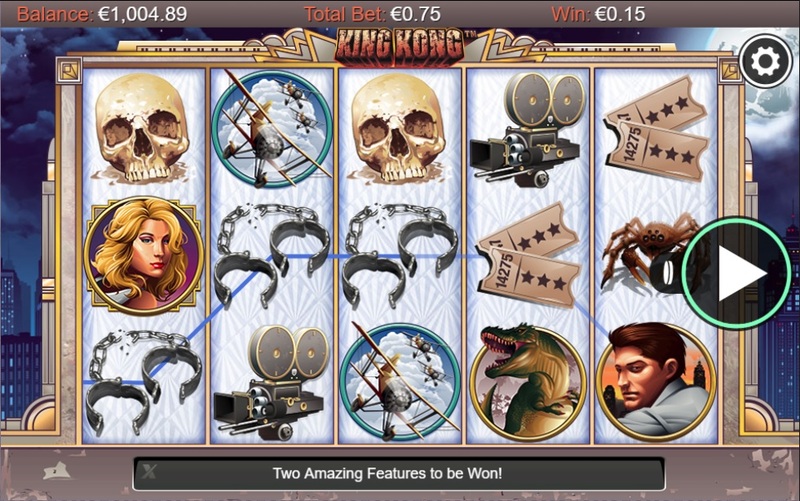 The thing that hits you straight away with the King Kong slot is its incredibly intense soundtrack that will leave many scrambling towards that mute button the second they land on the page. And the graphics don’t exactly lure you in either. The game is old, and it really does look its age with 2D graphics and an interface which looks like something from a bygone internet era. The reel transitions aren’t exactly smooth either. The game is apparently based upon King Kong’s 2005 blockbuster movie directed by Peter Jackson, but frankly, it looks like someone from your local secondary school has drawn the symbols. 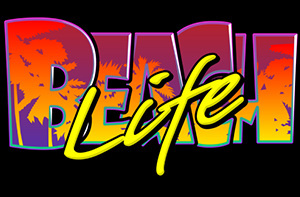 The symbols, as you would expect, are made up of characters and objects from the movie including a King Kong, Ann Darrow, Jack Driscoll, a dinosaur, a plane, a ship, a spider, a camera, a skull, some chains, and some movie tickets. But this is where the average graphics and transitions are redeemed by its great payouts. The best symbol to hit is Ann Darrow which pays back a lovely 7,500/1 if you hit five in a row. 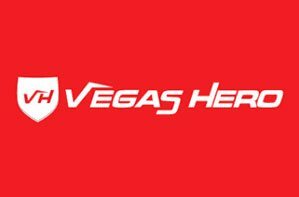 Even four in a row hits 1,500/1. Magnificent stuff! The gameplay is excellent on King Kong, and this is why you should never judge a book by its cover, as Ann Darrow would testify. 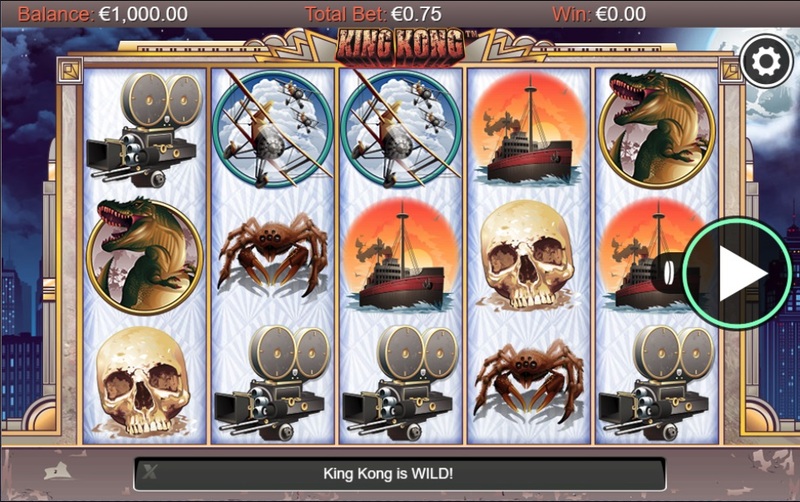 There is a couple of great bonus rounds available which occurs when you hit a King Kong in the middle line, or three or more King Kong scatters on the reels. 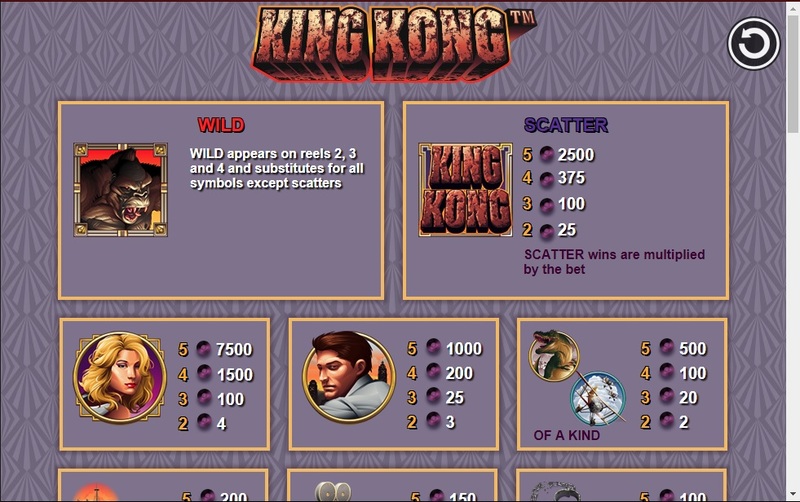 Once you’re in the bonus round you get to control King Kong and smash the planes as they come towards you, with each plane you hit earning you money. An excellent addition to a standard slot game. 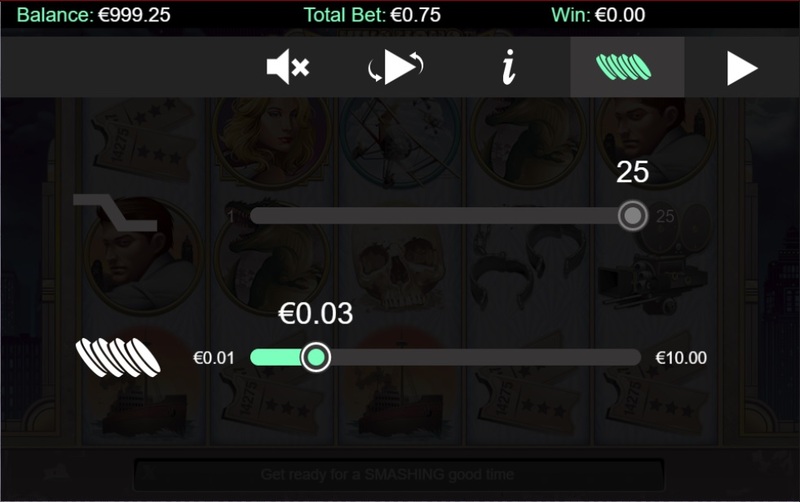 You’re not able to bet on different lines on this slot. The minimum bet is 25p, the maximum bet is £250. The house edge is 4.86%. Pretty, pretty good. There is a standard autoplay feature which you set to run for a certain amount of spin, however, there is no autostop. 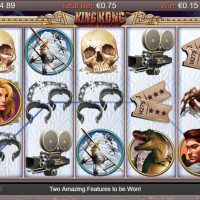 There are plenty of flaws with King Kong slot, and if you’re looking for the best slot game on the internet, then this certainly isn’t it. 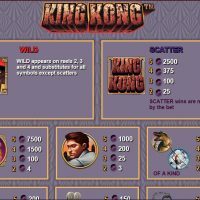 But with like everything in life, you’ve got to take the rough with the smooth, and what King Kong lacks in graphics, soundtrack, and gameplay, it more than makes up for in winnability. 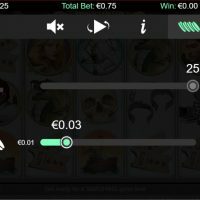 Having a house edge of just like 4.86% with the ability to claim odds of 7,500/1? Wonderful!